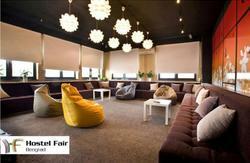 TOP RATED BELGRADE HOSTEL, voted by customers of HostelWorld, at the end of our 1th year!!! NEW FROM MAY 2012! We are proud to introduce you our new 2 BED APARTMENT WITH PRIVATE BATHROOM!!! Book it and enjoy ensuite bathroom, airconditioning, cable TV, free WiFi connection, fully equipped kitchen with fridge, dinning area, sofa bed and balcony! 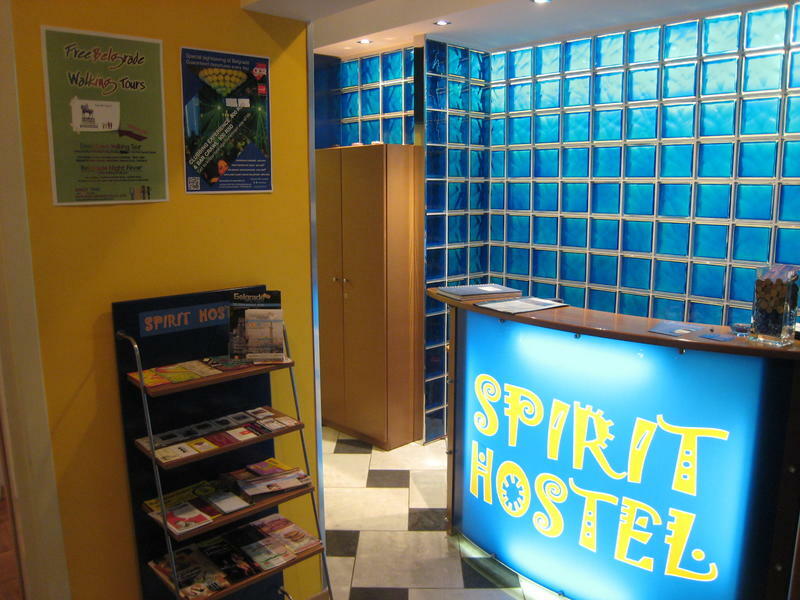 Spirit Hostel is elegant, comfortable and cozy hostel in the heart of the Belgrade, and in its oldest part Dorcol. We open our doors in November 2009. You will get INCLUDED in a room rate linen, towels and room slippers, large safety lockers, in room music, reading lamps, not to mention famous Serbian Welcome drink-Sljivovica (plum brandy)! You just have to ask, and we will provide iron and ironing board, hair dryer, maps and brochures and all the posible tips and suggestions, baggage keeping in safety room and much more! IMPORTANT: Our reception is open from 08h to 24h. 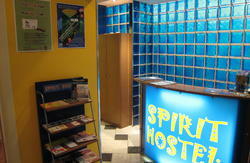 See you at Spirit Hostel! On foot: Train and Bus station are next to each other. Follow the street across, named Balkanska, until you reach Terazije (big and busy avenue in the strict center, you will see hotel Moskva, from the right side on the corner of those two streets), and then go left. After few minutes of walking, youll reach the main pedestrian street - Knez Mihajlova. Follow the street, and about 100m before it ends, you will come to the crossroad with the street Kralja Petra. Go right, and follow the street until you reach big and busy street Cara Duana (6th street that crosses the Kralja Petra Street). Cross the street, and then go left. Second Street from the right side is our street. Follow our street for about 200m, and you will see new, white-yellow colored building. Our hostel is in that building, entrance from the yard side, number 20b, on the 4th floor. By public transport: Take tram number 2 towards Kalemegdan fortress, and get off at the 4th stop, if you are starting in front of the Bus station, or at the 5th stop, if you are starting in front of the Train station. The name of the get off stop is Dor?ol-Bra?e Baruh, as well as our street. Right across the street from the tram stop, you will enter to our street - Bra?e Baruh. Further, follow on foot instructions, to reach our hostel. By taxi: The ten-minute ride will cost you approximately 4. But be careful! Taxis are the easiest and most hassle-free way to get around in Belgrade they are cheap and the drivers are usually not likely to rip you off. Always catch them on the street (or call them over the phone) and do not accept rides from cab-drivers waiting at the train station those will rip you off. You can use public bus number 72, which starts every half an hour in front of the 'Departures' terminal upstairs. The bus will arrive at the stop 'Zeleni Venac' in the city center. From there you can follow the street Jug Bogdanova which leads under the Branko bridge and to jump up on the tram number 2, direction - Kalemegdan fortress, and get off on the 3th stop - Bra?e Baruh, just in front of our street with a same name. From there, follow the 'On foot' insctructions. If you want to take a taxi, the best way is to go Tourist Taxi counter, right next to baggage claim and to ask for a taxi voucher. This way you will pay the fix price to any destination in wide city center (regular price about 1.800 Serbian Dinars) which will not happen if you just take a taxi in front of the 'arrivals'(in this case the price is a 'matter of agreement' with the driver, from 25-30 EUR, or sometimes 40 EUR). This option will take around 30 min. If you are coming on the highway E70 from Ljubljana (Slovenia), Zagreb (Croatia) or E75 Novi Sad - Budapest (Hungary) you will arrive to Belgrade from north-east. When you enter Belgrade and cross the bridge Gazela, follow the sign direction 'CENTAR' on first turning right after the bridge, and you should enter a big boulevard 'Kneza Milosa' street. Follow this boulevard up to the hill, you will cross Kralja Aleksandra Boulevard (you will see from the left side Old parlamentary building, big elegant building with green roofs). The street from this point is going down the hill and 4th street from here, go left to Dzordza Vasingtona Street. Follow this street, and after the crossroad with Francuska Street, Vasingtona Street changes its name into Cara Dusana Street. 8th street from this crossroad to the right is our street Brace Baruh. Then you should follow the instructions described in chapter 'On foot'. We can also offer you a ride from/to Airport/Train/Bus station, on a reasonable price. 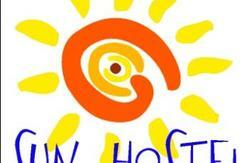 Just contact us few days before your arrival, and we will organize everything.